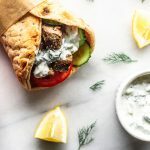 Your venison won’t be tough or gamey tucked into these juicy and flavorful Easy Grilled Venison Gyros. 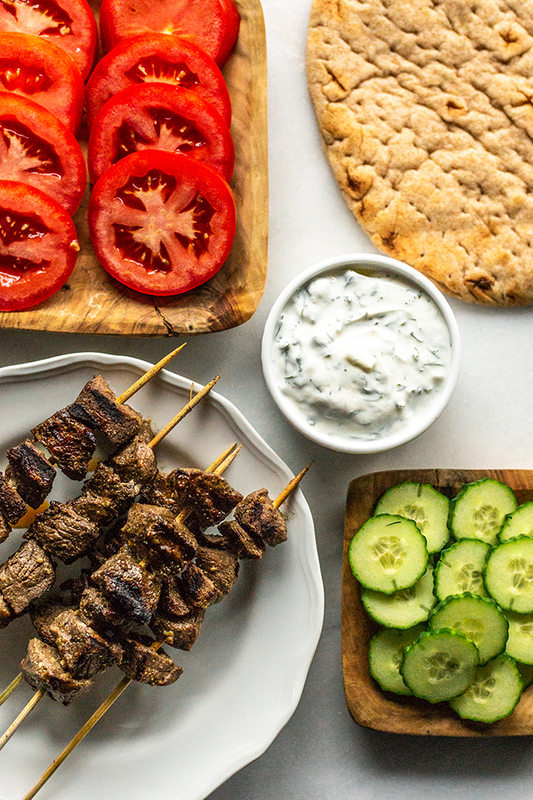 The trick is in the marinade and the best tzatziki sauce ever. Alright, friends – 11 days until the start of archery season and we’re just plain jazzed. 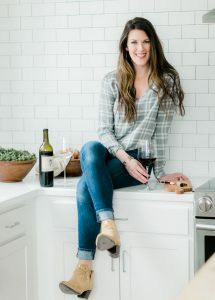 If you’re new around here, my husband, Jared, is an avid and educated hunter and I’m always over here trying to figure out the most resourceful and respectful ways to use up the harvest. If you’re like me, check out my recipe for Venison Shepherd’s Pie. It’s one of the most popular on the blog and for good reason! Let’s get down to it for a hot second tho, shall we? Venison is tough to work with. And by tough, I mean literally. Those backstraps are gone in the first few weeks and most of us are left with a bunch of leg meat made into chops and steaks to last us the rest of the year. With all of the sinew or silvery connective tissue, this leg meat has a tendency to curl up and get tough on us when cooked. Also – if the hunter in your life (or you) is hunting for a trophy buck (which most are because it means they’re at the end of their lifespan), they’re likely to have high levels of hormones in their bloodstream during rut (mating season) which can contribute to some of that iron-like flavor in the meat. Sound all too familiar? How do we combat this? I got you. We’re going to break down the meat but cutting it into chunks and removing the connective tissue, and marinating it in something with a high acid and salt content to add flavor an further break down the meat. Specific enough for ya? Let’s move onto the gyro. Venison is rich and flavorful like lamb so it’s the perfect replacement. 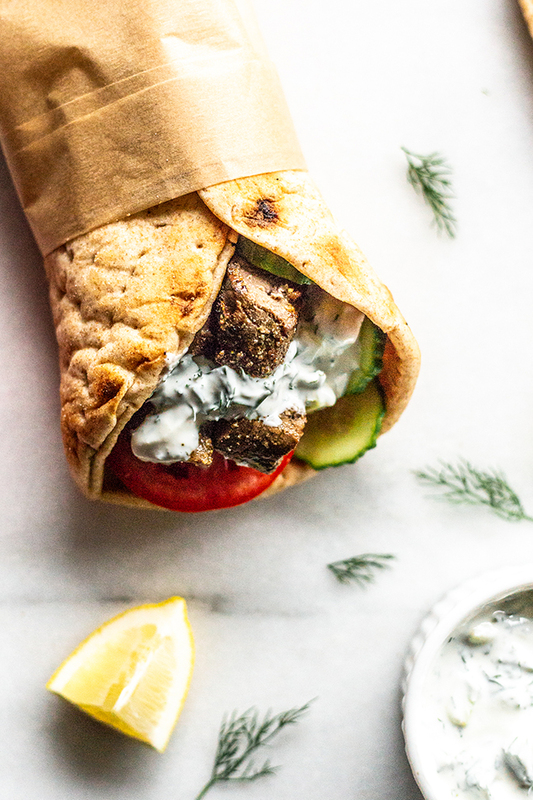 Instead of shaving meat into this pita sandwich, we’re going to marinate the meat, grill it into kebabs and serve it with the best ever tzatziki sauce. It’s the one I use in my Grilled Lemon Chicken Flatbread, too. 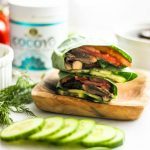 Stuff with fresh tomatoes and cucumber – it’s the perfect dinner or weekend lunch if I do say so myself! Cut the venison into chunks removing any sinew or connective tissue (this is the tough, silvery stuff). Add the venison to a bag or bowl with the olive oil, vinegar, za’atar, garlic powder, 1 teaspoon of the salt, and 1/2 teaspoon of the pepper. Allow the meat to marinate for at least 2 hours or up to 8 hours overnight. If you’re using wooden skewers, soak them an hour before cooking. 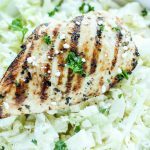 When the meat has marinated, preheat a grill or grill pan to medium heat. 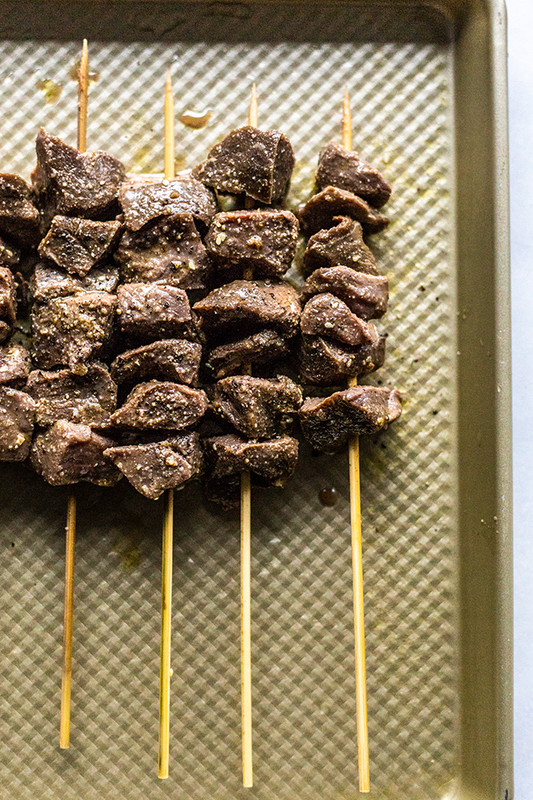 Spear the venison chunks with the skewers and lay them on the grill. Grill for about 2-4 minutes per side, or until the meat is medium rare. Don’t overcook it, that’s how it gets tough. While the venison cooks, dice the cucumber and chop the dill and mint. Mix them with the Greek yogurt, lemon juice, honey, and remaining salt and pepper. 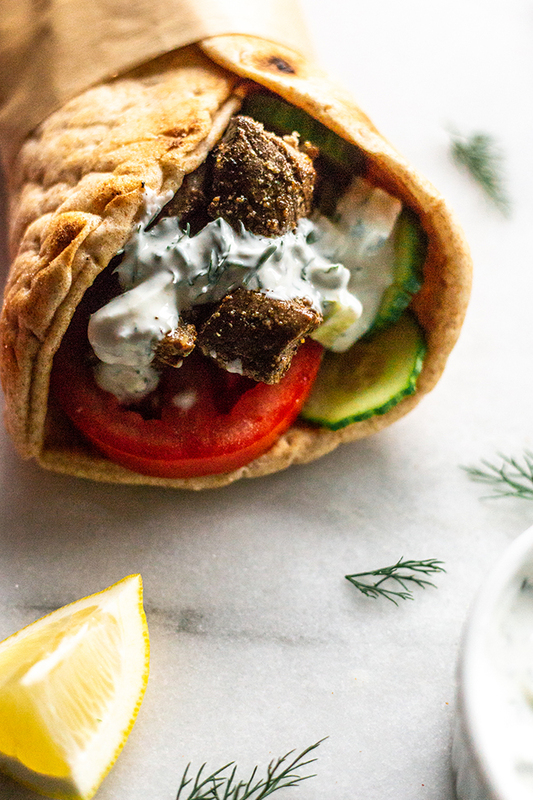 When the meat is cooked and the tzatziki is made, assemble the gyro with equal parts of meat, tomato, cucumber and sauce in each pita. Enjoy! you can sub with Italian seasoning if you don’t have this. 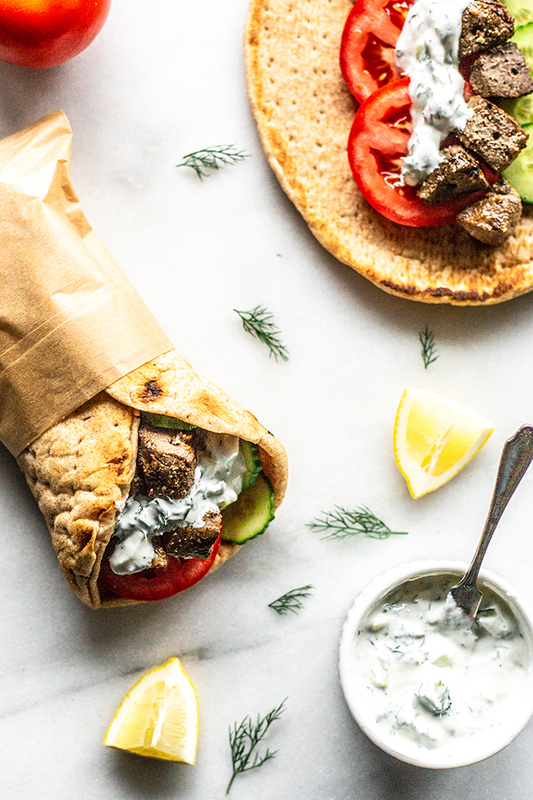 Ok, we desperately needed a New way to prepare and eat Venison – And you had me at “Gyros”. 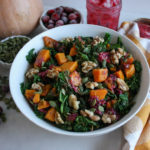 Thanks again – can’t wait to try this delicious looking recipe!